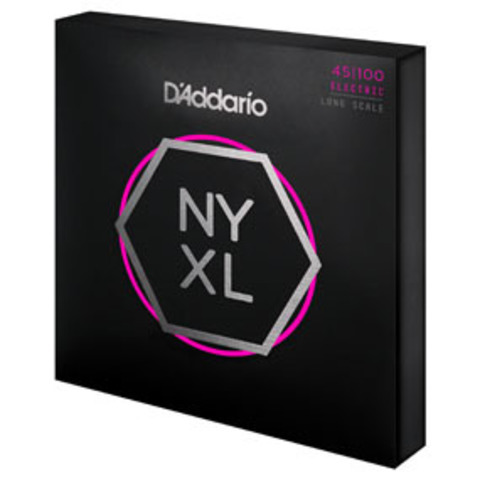 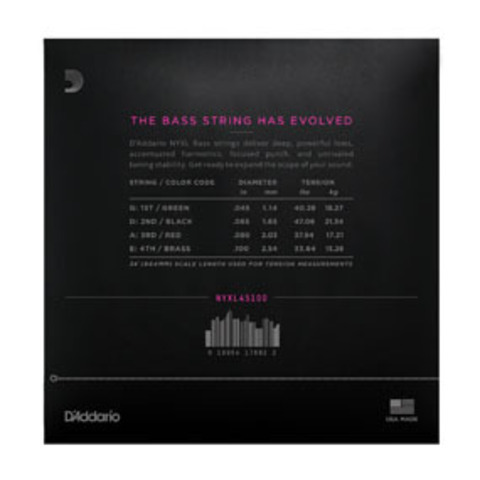 D&apos;Addario&apos;s NYXL electric bass string sets feature the innovative combination of NYXL nickel-plated wrap wire wound on our NY Steel core for expanded dynamic range and harmonic response. 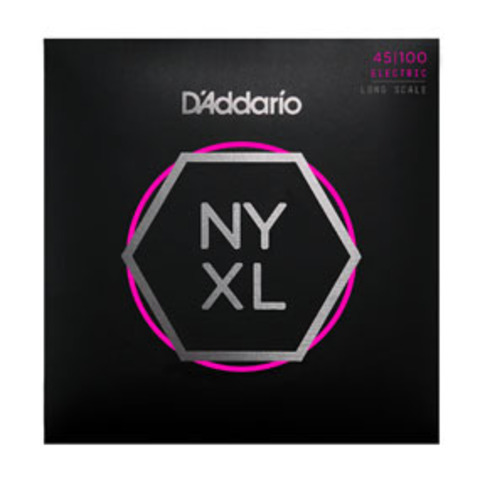 NYXL45100 offers a versatile string in our most popular string gauge. Fits long scale basses with a string scale length of up to 36 1/4 inches.